I finally got my act together and finished up a long promised swap package for a patient girl -hopefully the contents will make up for the long wait! I used up my practice calendar page, a bit of wallpaper, a book page, a bright serviette and an old piece of artwork from my textiles designing days. 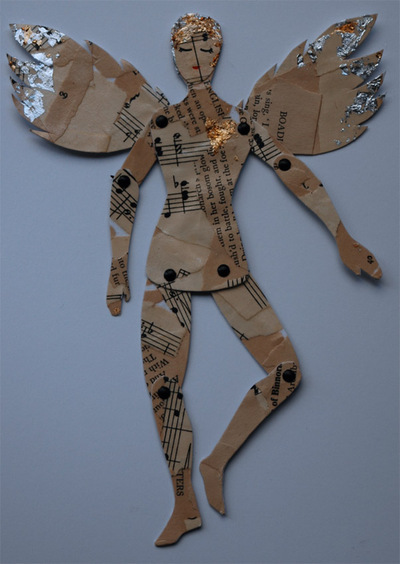 This is my first attempt at an art doll - she is made from collaged vintage letters, sheet music and silver foil and goes by the name of "musical wings" ( the theme was "winged"). I was much happier with her once I put her legs on the right way around....she's off to Tucson, USA. And moi...I'm off to do a bit more work on another swap in progress. Tick, tick, tick! what a stunning doll! i love it! 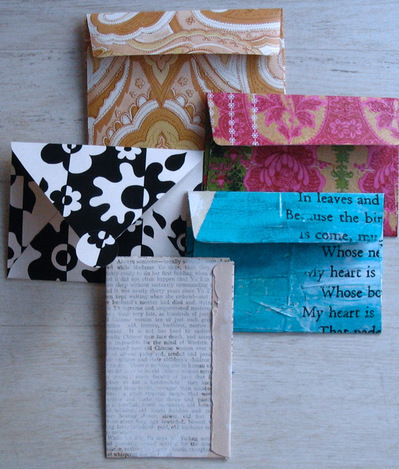 your envelopes are very pretty too... that is one great swap package! i really like the doll, and the envelopes are sweet also! and the things for damian are really neat. i'm really into handwarmers right now. i need some! OOOOOOh I love soooooo much your scarf ! 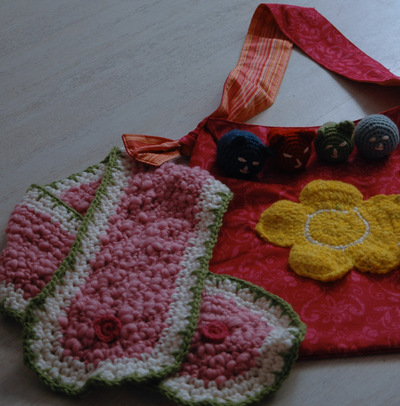 the colours are so lovely :) And also the bag ! 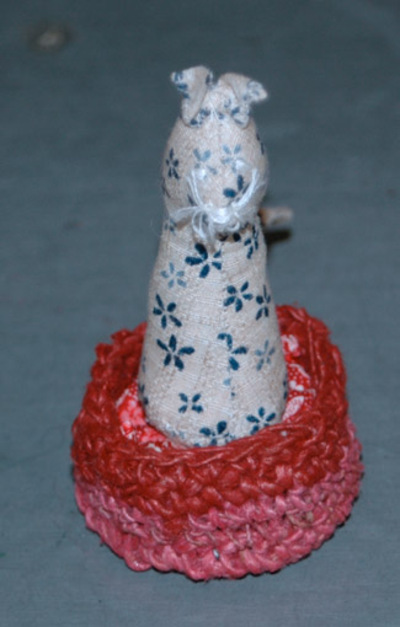 You are such a great crocheter ! Congratulations ! Happy New Year to you ! and tons of smooches from Belgium ! I love your envelopes, they are so cool. I love your paper art doll - wonderful! !